ST. GEORGE — As Congress continues its squabble over passing a budget and a possible government shutdown looms, the Interior Department is looking to keep national parks open. If lawmakers in the District of Columbia fail to pass a budget by Friday, many government employees will be furloughed and the services and activities of nonessential governmental agencies will be curtailed. When Congress failed to compromise on budget legislation in 2013, a shutdown led to the closure of public spaces managed by the National Park Service. However, Interior spokeswoman Heather Swifts said in a statement that should another shutdown occur, efforts will be made to keep public lands accessible to visitors, the Associated Press reported. Other public spaces, such as war memorials and open air parks, will remain open to visitors. National parks and wildlife refuges will be open with limited access when possible. Public roads that already open are likely to remain open, Swifts said, but services that require staffing and maintenance such as campgrounds, full-service restrooms and concessions won’t be operating. Backcountry lands and culturally sensitive sites are likely to be restricted or closed. 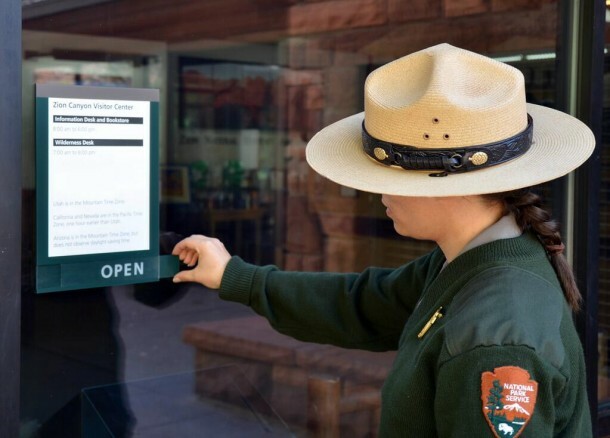 In the last shutdown in October 2013, tourism in Southern Utah was impacted greatly, with popular destinations Zion National Park, Glen Canyon National Recreation Area, Bryce Canyon National Park and Cedar Breaks National Monument being shuttered to visitors. 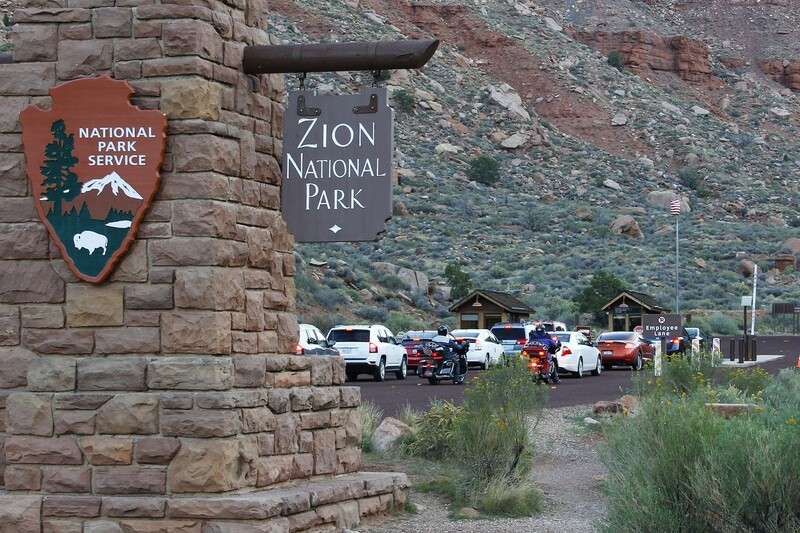 At the time in Springdale, business owners saw revenue drop sharply as visitors to Zion were told the park was off-limits to any use beyond driving through the Zion-Mount Carmel Highway. The shutdown also dented tax revenue for Washington County, which relies on Springdale for a significant portion of tourism tax dollars. Less than two weeks after the initial shutdown, Gov. Gary Herbert and the state’s legislature negotiated an agreement with the Interior Department to allow the state to fund the National Park Service while the shutdown lingered. Following the 17-day shutdown, a report issued by the National Parks Service estimated that the closures led to lost revenues of $414 million nationwide. The report noted that the overall revenue loss was mitigated thanks to park reopening agreements with several states, including an estimated recovery of about $10 million in visitor spending in Utah.